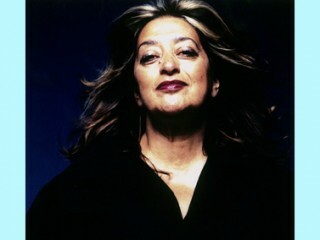 Zaha Hadid (Arabic: زها حديد‎) (born 31 October 1950) is an Iraqi deconstructivist architect. Zaha Hadid was born in 1950 in Baghdad, Iraq. She received a degree in mathematics from the American University of Beirut before moving to study at the Architectural Association School of Architecture in London. After graduating she worked with her former teachers, Rem Koolhaas and Elia Zenghelis at the Office for Metropolitan Architecture, becoming a partner in 1977. It was with Koolhaas that she met the engineer Peter Rice who gave her support and encouragement early on, at a time when her work seemed difficult to build. In 1980 she established her own London-based practice. During the 1980s she also taught at the Architectural Association. She has also taught at prestigious institutions around the world; she held the Kenzo Tange Chair at the Graduate School of Design, Harvard University, the Sullivan Chair at the University of Illinois at Chicago School of Architecture, guest professorships at the Hochschule für Bildende Künste in Hamburg, the Knowlton School of Architecture, at The Ohio State University, the Masters Studio at Columbia University, New York and the Eero Saarinen Visiting Professor of Architectural Design at the Yale School of Architecture, New Haven, Connecticut. In addition, she was made Honorary Member of the American Academy of Arts and Letters and an Honorary Fellow of the American Institute of Architects. She has been on the Board of Trustees of The Architecture Foundation. She is currently Professor at the University of Applied Arts Vienna in Austria. A winner of many international competitions, theoretically influential and groundbreaking, a number of Hadid's winning designs were initially never built: notably, The Peak Club in Hong Kong (1983) and the Cardiff Bay Opera House in Wales (1994). In 2002 Hadid won the international design competition to design Singapore's one-north masterplan. In 2005, her design won the competition for the new city casino of Basel, Switzerland. In 2004 Hadid became the first female recipient of the Pritzker Architecture Prize, architecture's equivalent of the Nobel Prize. Previously, she had been awarded a CBE for services to architecture. She is a member of the editorial board of the Encyclopædia Britannica. In 2006, Hadid was honored with a retrospective spanning her entire work at the Guggenheim Museum in New York. In that year she also received an Honorary Degree from the American University of Beirut. Zaha Hadid's architectural design firm - Zaha Hadid Architects - is over 250 people strong, headquartered in London. In 2008, she ranked 69th on the Forbes list of "The World's 100 Most Powerful Women". On 2 January 2009, she was the guest editor of the BBC's flagship morning radio news programme, Today. In 2010 she was also named by Time magazine as influential thinker in the 2010 TIME 100 issue. Hadid is the designer of the Dongdaemun Design Plaza & Park in Seoul, South Korea, which is expected to be the centerpiece of the festivities for the city's designation as World Design Capital 2010. The complex is scheduled to be completed in 2011. She has also undertaken some high-profile interior work, including the Mind Zone and Feet zone at the Millennium Dome in London and the Z.CAR hydrogen-powered, three-wheeled automobile. In 2009, she worked with the clothing brand Lacoste, to create a new, high fashion, and advanced boot. In 2007, Zaha Hadid designed the Moon System Sofa for leading Italian furniture manufacturer B&B Italia. * London Aquatics Centre, London, UK, (2008–2013), a 17,500-seat venue for the 2012 Summer Olympics. * Heydar Aliyev Cultural Centre in Baku, Azerbaijan. * Dongdaemun Design Plaza & Park in Seoul, South Korea. Other work includes the new departmental records building, Pierres vives, for Hérault in Montpellier. Zaha Hadid's project was named as the best for the Vilnius Guggenheim Hermitage Museum in 2008. She designed the Innovation Tower for Hong Kong Polytechnic University, scheduled for completion in 2011, and the Chanel Mobile Art Pavilion that was displayed in Hong Kong in 2008. She has been commissioned to design new buildings for Evelyn Grace Academy, Brixton.